So far, three friends already asked me if I recommend SMDC. My answer was neither positive nor discouraging. But for some reason, I felt relieved when I found out that they ended up buying a property from another developer. That made me realized that I don’t really want to recommend SMDC to my friends after all. It’s been over a year since I moved into my unit at MPlace, South Triangle. I have been blogging about my experiences, which is overall I’d say, also neither satisfied or unsatisfied. 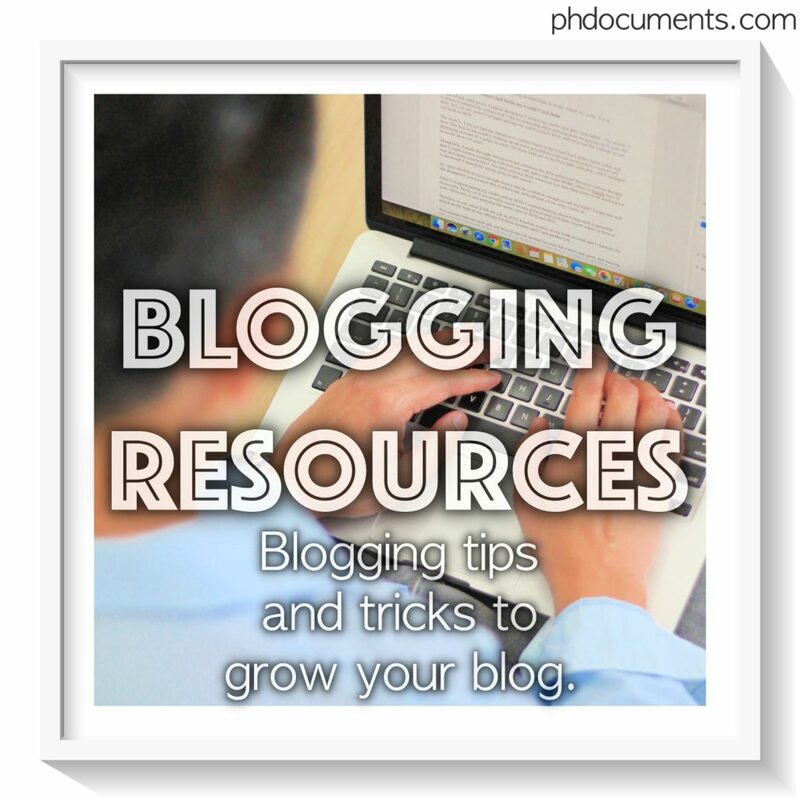 In this post, I am writing a review about being a unit owner of an SMDC property. I wanted to be very fair in my assessment, so let me start by highlighting the things that I do appreciate about SMDC, or at least with MPlace. 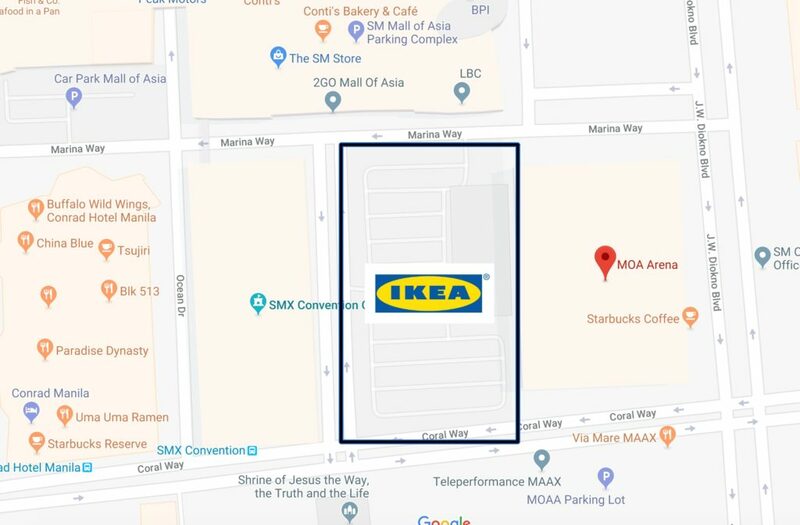 MPlace is just two blocks away from an MRT station. 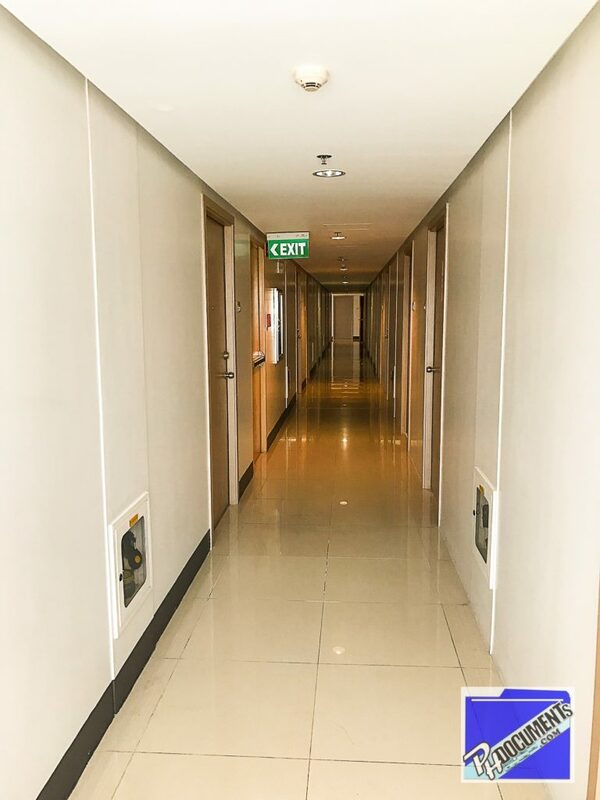 ABS-CBN is our neighbor, and we are sandwiched by two major roads – Timog and Quezon Avenue. Needless to say, I couldn’t ask for anything more in terms of location. This is true for most, if not all, SMDC condominiums around Metro Manila. This is their biggest asset which I think even outweighs the fact that Sarah, Kim, and Anne are/were their celebrity endorsers. I work in the afternoon until early morning, and I would often be greeted by a sleepy security guard who would ask for my name and my unit number as I enter the building. That would go on for a week, will stop for awhile, and will happen again when a new guard is assigned on the night shift. I find this annoying so I sent an email to the building administrator and explained my case; I attached my photo for their “reference”. I was never asked the same questions again. Delivery guys are only allowed at the lobby. Whether a tenant likes it or not, they will need to pick up all deliveries at the reception. And we are required to meet and fetch our guests in the lobby too. I understand the tight security, so while it is an inconvenience sometimes, I’d rather be safe than sorry. Only owners and registered tenants are allowed to use the pool for free. Guests will need to pay Php150 if they want to go swimming. I find this to be ridiculous initially until I realized that Pinoys are fond of inviting guests to their homes. And by guests, we are talking about an entire clan, if not the whole Barangay. Imagine them all jumping into the pool if it’s free. The strict rules about the use of swimming pools are just and fair as there are also owners who don’t invite in guests regularly. Cheap Finish – my previous exposure in building construction and design, despite being far from extensive, gave me a critical eye towards substandard building materials. I understand that SMDC is not a high-end condo developer so I take that into consideration. Besides, most of their units are unfurnished and they now put emphasis on “bare finish”. This is to give buyers the impression that they could freely replace everything during interior renovations, as they wish. Small Windows – I prefer big windows for an open and airy feel. But I figured, I am mostly asleep during the day, so I guess small windows work for me at the moment. I’ve read all these horror stories in online forums and other blogs, and I never thought I would also experience them myself. When I did, I realized that SMDC is consistent when comes to not meeting their client’s expectations. I thought I was prepared for this as I did not really expect them to follow the original turnover date that they set. True enough, it was rescheduled twice. And before they would send me the next rescheduling notice, I gave them a deadline. They complied because I started talking about the leaks on their ceilings. Yes, this is for real. And upon Googling “SMDC leaks”, it looks like this is already an SMDC trademark. 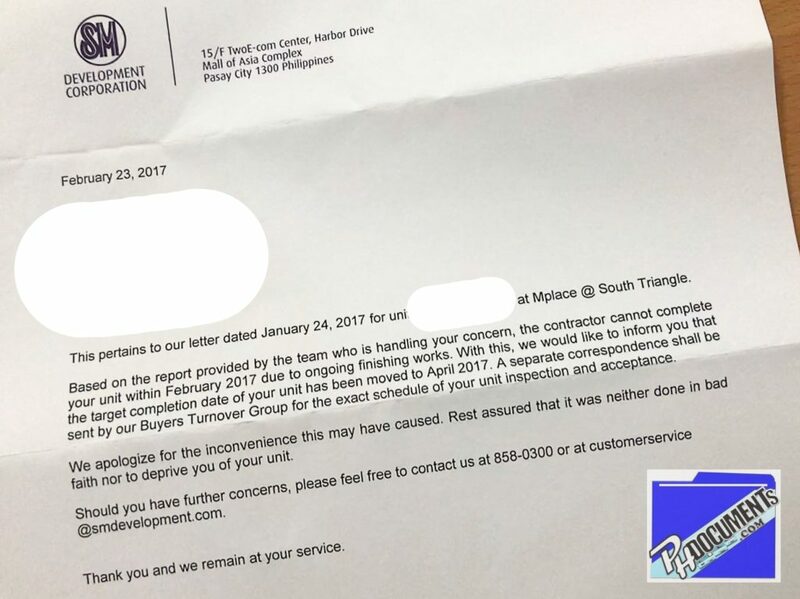 They kept on moving my turnover date because it turns out that the unit below mine has a defect. There’s a leak on their bathroom (supposedly coming from my bathroom), and Engineering thought that they should fix mine. The unit owner won’t sign the turnover papers unless the problem gets fixed. Engineers visited my unit only twice in the span of three months. In the fourth month, the Admin texted me and asked when they could start the renovation. I demanded that they get me a unit or a hotel room to stay while the renovation is going on. They never contacted me again. A few months later, I found out that the owners already moved in. I feel bad for them. All four elevators in our building were in good condition when I moved in. I understand that maintenance is needed from time to time, but when the service elevator stopped working and was never fixed, I thought that confirms the management’s inability to address issues quickly. Everyone can use all elevator cars including the service elevator. Now that only three of them are serving 28 floors, tenants would encounter long waiting lines at the elevator lobby. And yes, all of them can now be used as service elevators too. This alone is more than enough reason for them to let go of their “5-star living” tagline. Hearing a cracking sound when I step on the floor tiles in our hallway is rather amusing. They eventually replaced the tiles surprisingly in two batches, over six months apart. I have a lot to say about this because I was once a customer service representative myself. I understand why some SMDC clients are fuming mad about how bad the customer service is. The answer is, most (NOT ALL) of these agents don’t really care about your problems. They are just there to answer calls or emails, not to fix leaks on your ceilings or process the title of your property. They simply are passing on your complaints to different “concerned departments” which probably are understaffed with tons of work to do. This explains why you need to repeat yourself every time you call. And the agent for sure have already heard thousands of similar issues from other customers before, so they are so done empathizing and apologizing. 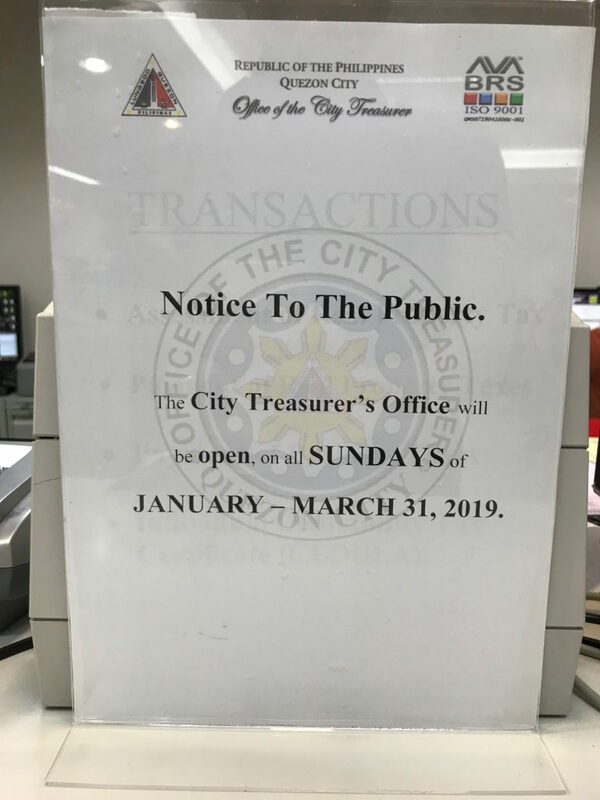 In the end, the poor customer service is still accounted for the fact that different departments across SMDC are seemingly inefficient at addressing their client’s concerns. So, why am I not recommending SMDC to my friends? Simple – I do not want them to go through the nightmares that many buyers, including me, have experienced. Nonetheless, this is not to say that other developers are not causing their clients headaches too. I’m sure, none-SMDC condo owners have some horror stories to share as well. Our building is being managed by a third party. Again, this is comparable to a company whose customer service is being handled by a call center (which is a third party). All the company’s customers will be dealt with at the call center. Their grievances and complaints will be falling on the deaf ears of the call center agent on the other line. It is the call center’s job to limit escalations that will reach the management of the company itself. In short, it is their responsibility to “block” customers from directly contacting the company. Hence, I won’t be surprised if the SMDC guys are not even aware of the details of their client’s complaints. Everything is being held in the Project Management Office, and SMDC is probably just receiving their reports in the form of charts and PowerPoint presentations. As in any business, their concern is only on the highs and lows of Php figures on those sales reports. My advice? 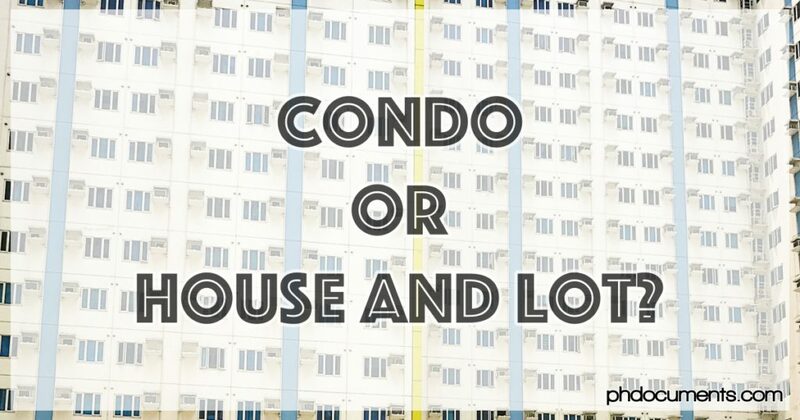 Don’t get a condo if at all possible, invest in a house and lot instead. 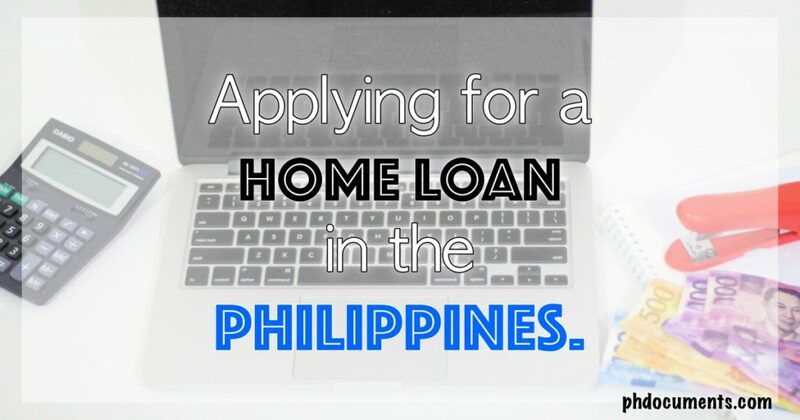 In one of my previous posts, I talked about my experience in applying for a home loan to several banks in the Philippines. 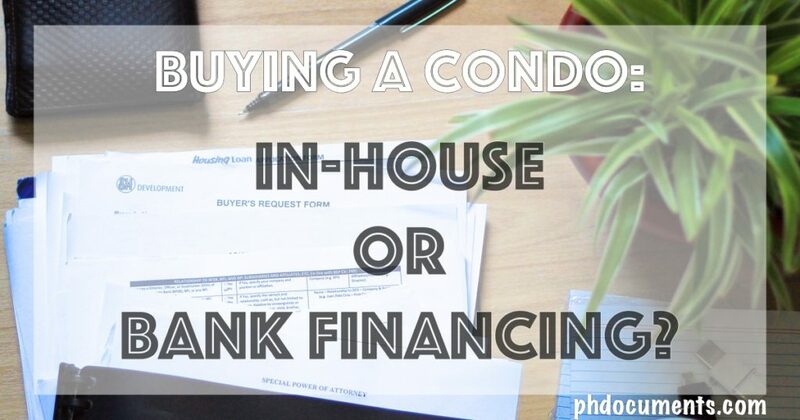 If you are deciding whether to go for in-house instead, here are some fast facts about these two home financing options. If you have the money, I would recommend going for in-house financing. You can’t get rid of the paperworks, but it is a lot lesser compared to when you apply for a home loan in a bank. While the terms are shorter, and interest rates are a bit higher, it would still be more practical in the long run. Get a home loan from a bank if your priority is the lower monthly amortization. 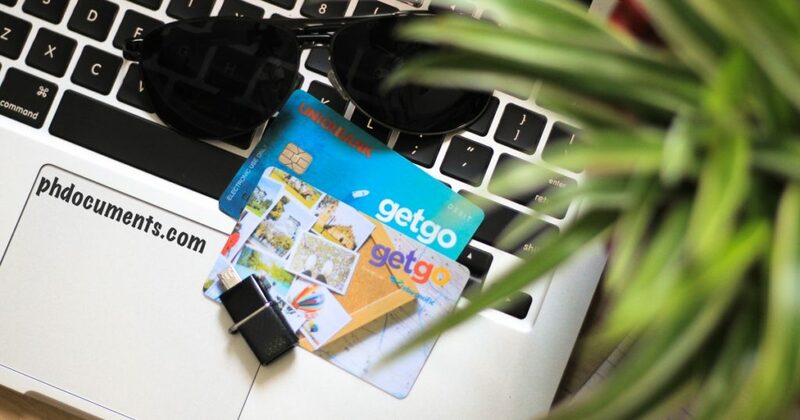 You may also find a bank that offers home loan promos such as rebates or low interest rates when you apply during a certain period of the year. I went for bank financing because SMDC is not very keen at accepting in-house financing applications. They were not very enthusiastic about it when I inquired, almost discouraging me not to continue. Nonetheless, the chances of getting approved is high, at least according to the agents that I spoke with. Are you also looking at these two home buying options? Which one are you more inclined to get? Why is it Difficult to Get a Checking Account from BDO? While in the process of acquiring a property, my agent suggested that I apply for a checking account with China Bank since SMDC require post-dated checks for the downpayment. I agreed to go to China Bank, but SMDC was quick to give me an endorsement letter addressed to BDO One-Ecom branch beside Mall of Asia. I decided to take that as I thought it would be faster and easier, and the Php5000 maintaining balance that SMDC requested is attractive. Most banks require no lower than Php15,000 maintaining balance for checking accounts. My agent and I went to that BDO branch, and we were surprised with the long process. I understand the paperworks, but they actually had to call my workplace to verify my employment status. I was amused, did I just apply for a credit card? We were inside the bank for almost two hours! 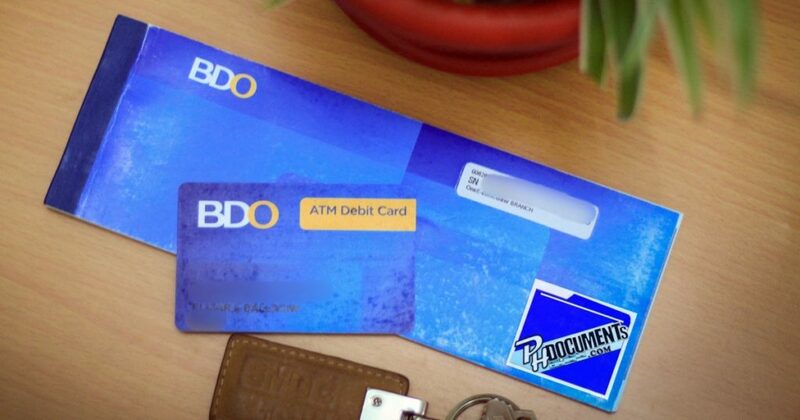 So, why was it do difficult to get a checking account from BDO? Well, this is true to most banks. They require you to have a savings account with them for at least six months, and your checking account must be opened in the same branch. 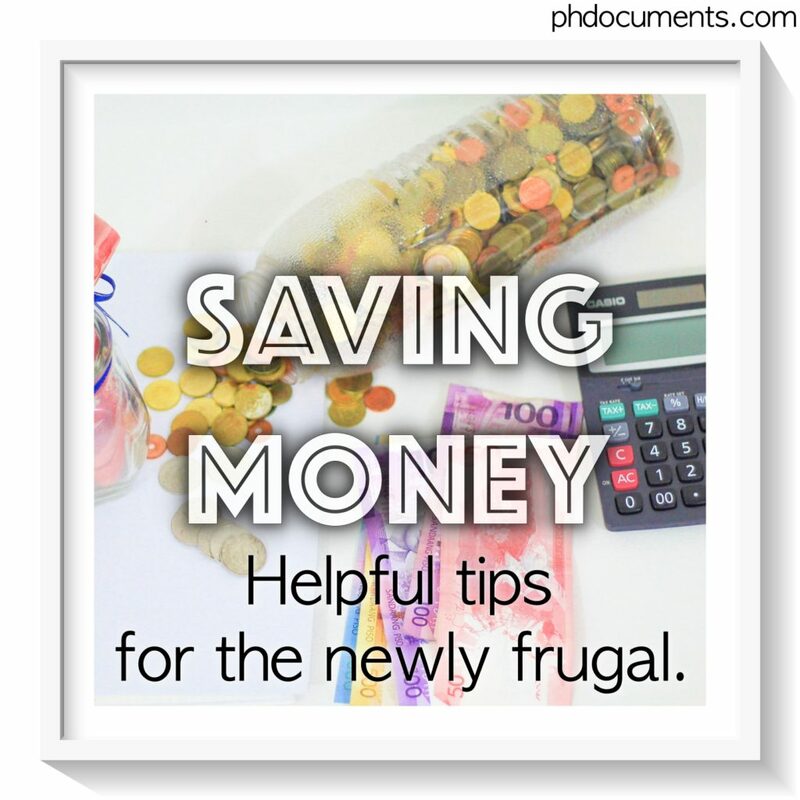 I do have a savings account with BDO but in a different branch. Hence, if you really need a checking account, your current bank is the best place to go. I was lucky that my application was approved by BDO One E-com despite not having a savings account account with them. The referral letter from SMDC definitely helped. Have you also encountered problems getting a checking account? Which bank? 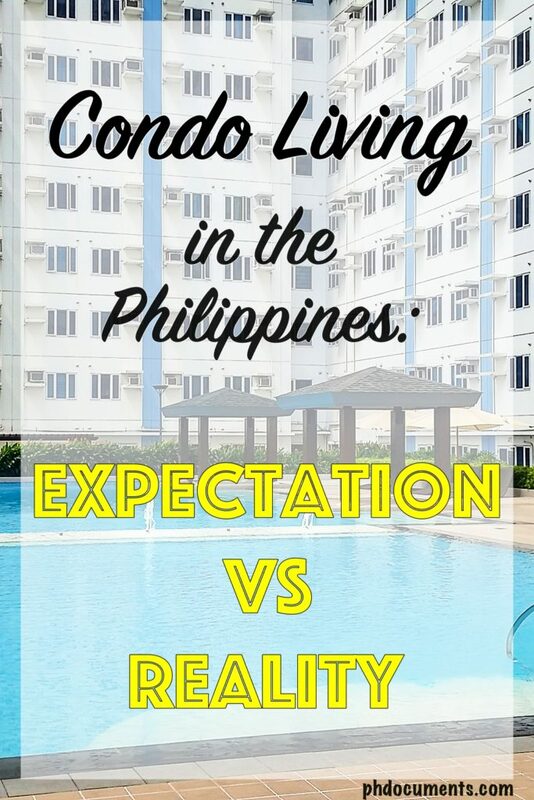 This time, I’ll talk about the expectations versus realities of condo living in the Philippines based on my experiences. For this topic, I will turn to SMDC since I am dealing with them first hand. 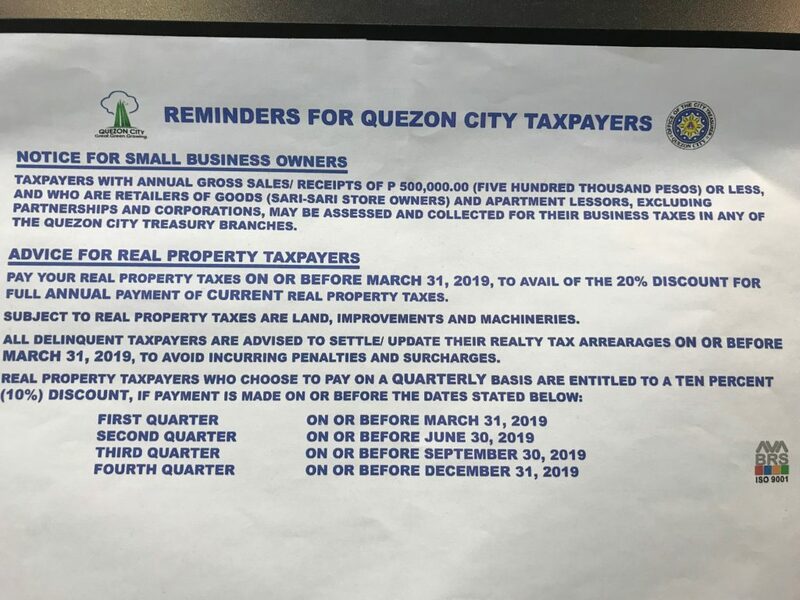 Nonetheless, I think these are generally applicable to the all developers, and if you are a condo owner, you may have the same or better experiences than me. 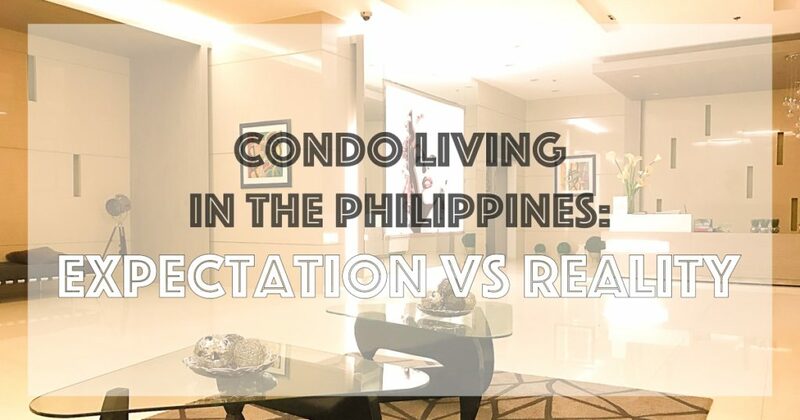 Let me list down a few points on the expectations and realities about buying and owning a condominium unit from SMDC. 1. Let’s start from the inquiry phase, always check for “other charges”. To be fair with my agents, they were vocal about these charges from the very beginning. I am glad that this was upfront else, I would also be calling it a “hidden charge”. From the initial breakdown of fees, other charges, although not itemized, is already listed. Make sure to always ask about other fees when you do not see it in the initial or sample computation. You do not want to be surprised with these fees when they suddenly appear in your payment schedule later on. 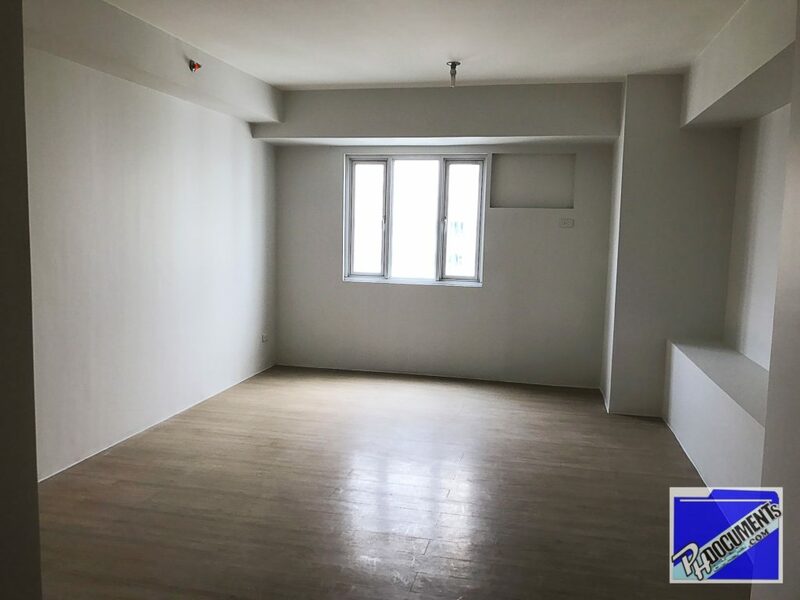 Because the building was already built by the time I was making inquiries, my agent was able to arrange a viewing schedule within two days. I get to check the unit, and had a glimpse of the building amenities. I am not using a photo of the model unit since I already know that that is not what the actual turnover unit will look like. The floor plan is pretty accurate although I was a bit disappointed that a huge part of columns and beam are exposed. If they say 30 square meters, do not expect to have a livable space of exactly 30 square meters. A good portion of that space is covered by walls, columns and beams. Payment terms are one of the things that agents talk about first when you inquire. 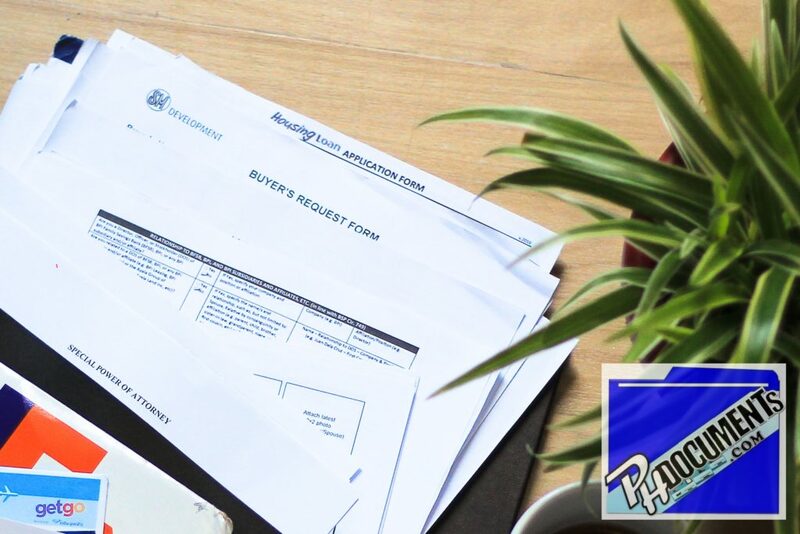 If you are a serious buyer, your agent may be able to arrange a special term for you with his supervisor or manager. Now, on to the stuff that you will never know during the inquiry and buying phase. You only deal with these as they happen, and it may need you to be very patient sometimes. I was initially promised of a turnover date not later than February 2017. It has been moved twice, and before they would contact me for another rescheduling, I made numerous phone calls and emails with my demands. I was eventually allowed to move-in in April 2017, already four months into paying my home loan amortization. In one of their letters, April is just the target unit completion date, not the actual turnover date. This is probably the worst experience that I had with SMDC so far. Anyone who could relate? Prepare at least Php25,000 for the move-in fees. This will cover advance payment of monthly dues, and a few other requirements such as fire extinguishers, grease traps, vent, and curtains. Verify with your agent that the other fees I mentioned above already cover utility expenses (water and electricity installations), otherwise, you will be also be paying those separately. If that’s the case, Php25,000 will not be enough. It’s been almost six months since I moved-in. In general, my expectations are being met so far. The two swimming pools get cleaned at least once a week, and conditions regarding the use of pools by guests are quite strict. I do not mind paying for my guests for pool usage for as long as everyone else does. This explains the almost empty swimming pools during weekdays, and only get crowded on weekends. SMDC condominiums are a bit congested so I already had my expectations before I moved in. I am a bit surprised that there are not much elevator traffic which is great. The lobby is sometimes full of people lounging but not really a big deal for me. MPlace is probably the only SMDC development I know that doesn’t have a gym. From what I see, most of the staff including house keeping and security personnel are courteous and polite. There are a few exemptions, such as the impatient lady at the building admin office but I don’t take that personally. I haven’t experienced or witnessed anything extreme happening. 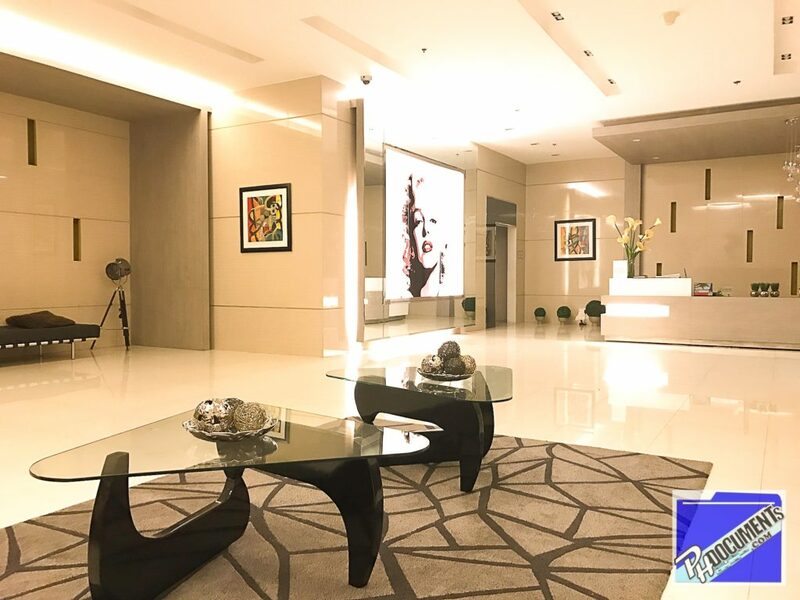 The lobby and other common areas get cleaned regularly. I don’t know how often they conduct pest control, but they’ve done it once in the past six months. I live in the top floor and I often notice water leaks from the ceiling at the middle of our hallway during heavy rains. In the past three months, I received visits from engineering due to yet another water leak in the unit below me which is supposedly coming from my bathroom. I am not sure if these have been fixed. Coincidentally, I have also heard similar stories from unit owners of other SMDC condos. Our office building is also owned by SMDC and water leaks from the rooftop and pipes have been a problem since we occupied the building in 2014. It took them over two years to fix those. My educational background is Architecture, so I know a thing or two about design and construction. I understand that these are unavoidable, but the manner at which a developer or contractor respond and address the issue sets them apart from the others. We had a general assembly last July but I was not able to attend. It would have been a good opportunity to get to know other owners. Of course some people are just untidy, they would sweep strands of hair out of their rooms and leave them in-front of their units expecting the house keepers to pick them. There are also tenants who would leave their doors open while cooking, and would litter bits and pieces of onions at their front door. I’m glad the unit owners next to me don’t do that. Our floor is not that noisy except for a few occasions where interior constructions are being done, which I understand. Pets are not allowed, in case you are wondering. I have a friend who wanted to inquire from SMDC but turned to other developers since she can’t be without her pets. Visitors are required to sign the logbook and their hosts need to meet them at the lobby. While it is a bit of an inconvenience, I like the fact that all deliveries can not go beyond the lobby too. Nonetheless, tenants may request for especial arrangements such as when he or she is sick. A form needs to be signed and submitted for every piece of large furnitures and appliances that you bring in. The same is required when bringing them out. Some tenants feel that security is too tight, but I do not have any problems with that. Free Wi-Fi at the lobby. All I can say is, it is slower than the Wi-Fi signals at all SM Malls. I thought, it was due to multiple connections but I would try connecting when I arrive from work (which is always around 2AM or 3AM), but the speed is the same. 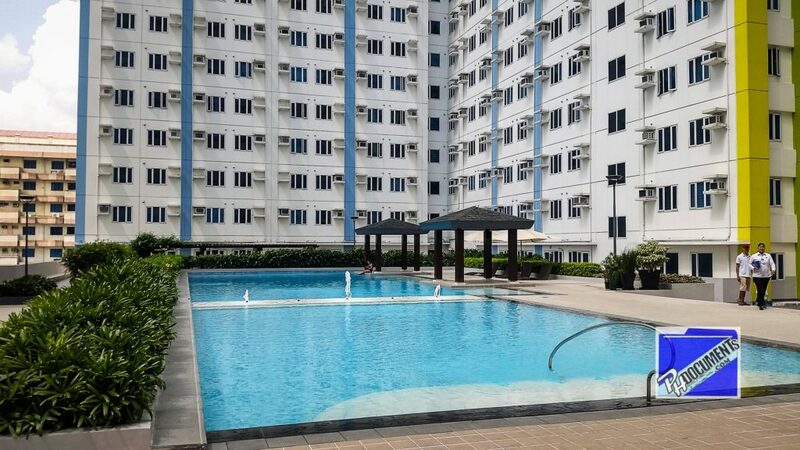 Overall, living in a condominium despite all the negative notions and opinions is actually good. Yes, it is not perfect and the realities are sometimes far from what you see in all those advertisements. But personally, the security and convenience are more than enough to convince me that I made the right decision. For someone who have been renting for over a decade, it is comforting to know that I am actually paying for my own property now. And every time I fill out a form that asks for my personal information, I can’t help but smile when I put a checkmark on the “owned” box instead of “rented” beside the Home Ownership field. Do you have condo living experiences that you’d like to share? 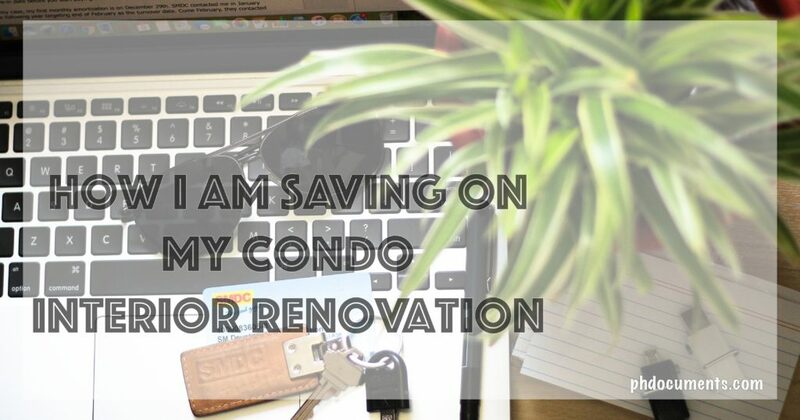 Feel free to comment; let’s help future condo buyers make their decisions.